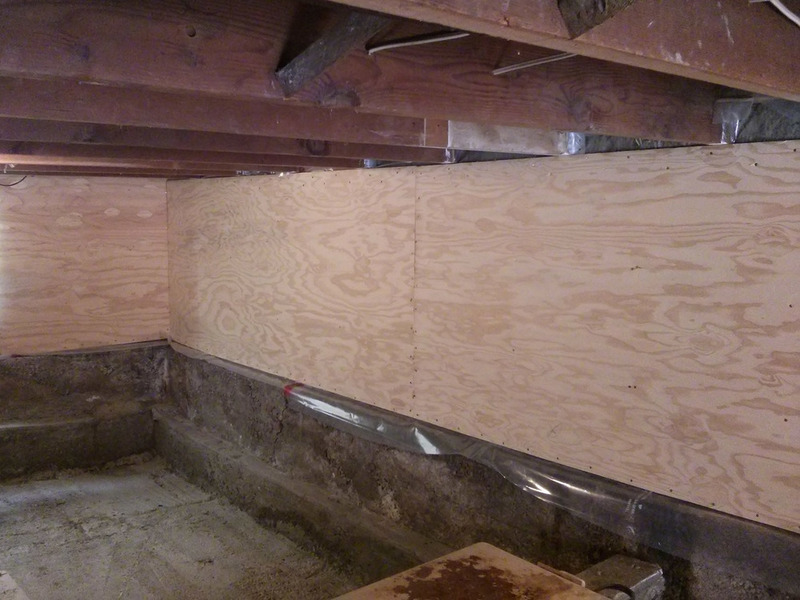 An employee of a local engineering firm hired me to evaluate and do a seismic retrofit on their basement walls, posts and beams. As typically found in our basements here in the Victoria, the cripple walls on which the house rests have very little resistance to the lateral forces of an earthquake. The result can be catastrophic if the first floor of the house slides off and lands a couple of feet off the side of the foundation. 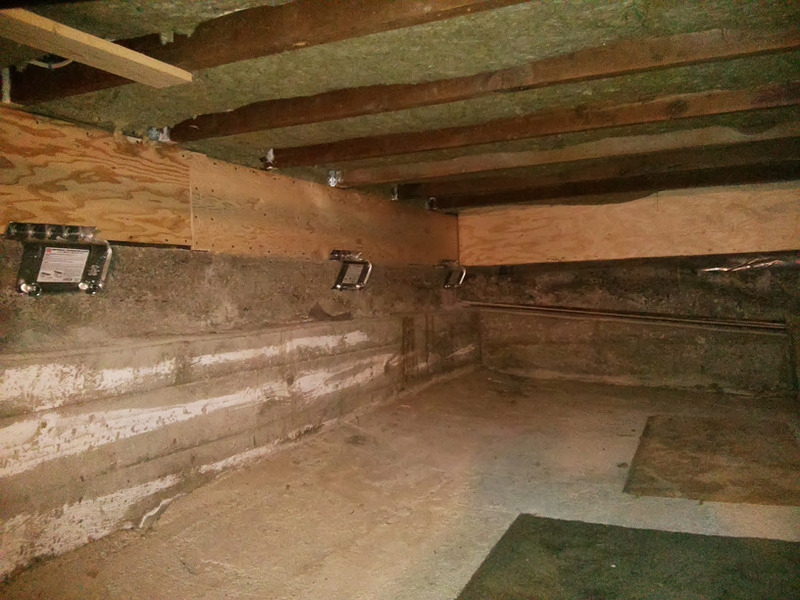 Shockingly, the beams under this house were not connected at all to the posts, and the posts were too short and shimmed with blocks of wood. I replaced these posts and reinforced all the others. The entire perimeter was bolted down, shear panelled and connected to the floor structure above. Some rot was discovered in the sill plates and they were replaced along the way, and of course the entire wall was insulated and a vapour barrier was installed.